President Muhammadu Buhari expresses sadness and concern over the unprecedented devastation caused by flood – Royal Times of Nigeria. 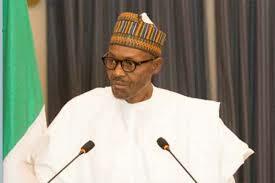 President Muhammadu Buhari has expressed sadness and concern over the unprecedented devastation caused by floods in several parts of the country and particularly in Katsina state recently in which more than forty persons were killed. More than one thousand houses were also destroyed with over two hundred and fifty livestock confirmed killed in the heavy rain which started around eleven pm on Sunday and lasted till the early hours of Monday. The President, in a statement by his Senior Special Assistant on Media and Publicity, Malam Garba Shehu in Abuja, pledged the federal government’s support for the victims of the disaster. While expressing condolence with the families affected by the flood and the government of the affected states, the President directed the National Emergency Management Agency (NEMA) to do everything that would bring succor to the victims.